At the beginning of this year when I began to notice that most Africa summits and conferences being held around the world did not include green growth or the green economy in their agendas I started a campaign to put the green economy into Africa's growth story. The more I looked into this the more concerned I became that another year of high level meetings would come and go without a single mention of the green economy in Africa. The blog post, Call for Discussion on the Green Economy in Africa, was a direct appeal to all those involved in events that will have a considerable impact on Africa's future. As next year's summits are now being announced, the green economy is still absent despite the fact that African leaders are pushing hard for green investment. The 'brown' economy, or business-as-usual, is expanding fast in Africa and its familiar hidden social, environmental and long-term economic costs are rising rapidly. This is the reason for this post. The word “great” has been used a lot since the 2008 “great crash” of the global economy. There is the “great recession”, the “great rebalancing”, the “great convergence”, the “great rotation”, the "great transition" etc. all requiring a “great rethinking” of just about everything we do. All of this shows us that we are facing challenges of “great urgency”. There is also the “great disconnect” between our knowing how to meet the challenges of the 21st century and not getting on with the job with the greatest speed. As world leaders struggle to keep the current system going, stumbling from one crisis to the next, that same system is destroying the planet on multiple levels with consequences no one can imagine. The whole fantastic system, which has created great wealth and improved life for billions, is unfortunately built on diminishing returns. Trying to fixing our system is a Sysephusian task, like pushing a rock uphill knowing it will eventually roll back down and you have to start all over again. In his book “10 billion” Stephen Emmott, the eminent Cambridge scientist, assesses the likely state of the planet when there are 10 billion people living in the current system. He sums up the situation in three words: “We are fucked”. But Professor Emmott ends his book with the even more alarming words of a young, rational and very bright scientist working in his lab. Asked if there was just one thing he had to do about the situation we face, what would it be? How are we to avoid such a reality? The good news is that since the “great crash” in October 2008 a vast amount of work has been carried out and a vast amount of knowledge gained on a new model for inclusive, sustainable economic development using the green economy as an essential tool in the transition. Partnerships between global institutions such as the United Nations, World Bank, OECD and the Global Green Growth Institute are creating the knowledge platforms and organisational frameworks on which the green economy can take shape. The emerging economies, led by China, are pushing ahead with green agendas. Countless other global and local, public and private initiatives are building the green foundations. So far, in many areas the crisis has not been wasted. Now is the time to accelerate the process. The technologies for the transition are well advanced, the skills are there, the private sector is leading the way and green success stories are everywhere. Financial institutions are creating new instruments. Investors are sitting on trillions of dollars saying “where can I put my money?” Ten minutes googling “Green Economy” should be enough to convince him or her that this the growth story of the 21st century. Perhaps the greatest disconnect is found in Africa’s growth story and how it is being told. Some are telling the 21st century green growth story where sustainability is the central theme, and some are telling the 20th century brown growth story where the issue is given very little space or none at all. The story that gets most most peoples' attention is the one that will decide Africa's future and the future of the planet. Like Dr Maathai, many leading Africans over the past twenty years have been telling the green story by promoting sustainable growth through green development whose aim is to balance economic, environmental and social interests. In the five years since the great crash Africans have been telling the world that the green economy is a major pathway towards inclusive, sustainable and resilient African economies. A new chapter in Africa's green growth story started with the leaders' Consensus Statement to Rio+20 in June 2012 where they make it clear that green growth is critical and a green economy is their only option. The 20th century brown growth story on the other hand, the one that says nothing about hidden costs, is the one that is still being told by many of Africa's traditional western partners as well as by China and other emerging market economies pouring into Africa. It is also being told in most of this years’ record number of Africa summits and conferences.This year will see the greatest number of Afro-optimists gathering in venues around the world to talk about Africa’s great prospects. Yet, with few exceptions, the ‘green’ economy is absent from agendas. Many summits and conferences do not even mention sustainability. This is the great African disconnect of 2013, and as next year’s events are being announced many look like they will be telling the same story. The disconnect will continue. As an example, the Financial Times’ 5th “Private Equity in Africa” Summit, taking place in London on October 16, is one of the most important Africa summits in this summit-filled this year, yet there is not a single mention of the green economy or even sustainability in the full-day agenda. For the first time in a long and complex relationship with the private sector, which was mostly to Africa's disadvantage, Africans are finally opening their doors. This move is crucial, not only for Africa but for the global economy. Unless sustainability, and more specifically the green economy, is built into discussions and followed through with green growth plans any return on private equity investment in Africa risks being short-lived. Letter to the FT Editor, October 3. This letter is not in connection with any FT news item or related letter, but with an FT LIVE event recently advertised in these pages, “Private Equity in Africa Summit”, to be held in London on October 16. This is arguably one of the most important Africa events in this event-filled year, for as the website says, "against the backdrop of a slowing global economy and increasingly constrained development spending, the private sector is now recognised to lie at the heart of driving Africa's economic transformation." With the continent in greater demand than ever before, the FT’s 5th Private Equity in Africa Summit is an historic moment for the private sector. From the arrival of the European and Arab slavers 600 years ago up until the end of the colonial era, Africa did not have many fair deals with “the private sector”. At independence most private (colonial) assets were sequestered by the state and for forty years private enterprise was mistrusted and discouraged throughout most of the continent. Only in the past decade have Africans begun to have dealings again with private investors. The FT's forthcoming Summit is evidence of how far things have come. While state-led investment in Africa has its serious shortcomings, Africa’s challenge with new private investors is to ensure that there is no return to business-as-usual where elite Africans and their foreign partners reap all the benefits while those marginalised grow in numbers and the environment is left in ruins. Unfortunately there is already evidence of this happening again all over Africa. For the past five years African leaders have been calling for responsible partners to create growth which is inclusive, protects the environment, minimises resources and runs on low carbon fuels. They have made it clear that the green economy is the only viable path to achieve this. They have made it clear that the potential for green growth in Africa’s vast underdeveloped human, ecological and mineral resources is enormous. Ten minutes googling "Africa Green Economy" will take you into Africa’s green growth story which is clearly the story for responsible private investment. What is amazing in this record year of Africa summits and conferences worldwide is that, with few exceptions, the green economy is totally absent. The FT's Summit comes nowhere near it. In the same way the Economist’s Africa Summit in February “Africa Unchained: the Next Generation”, while very inspiring did not touch on the green economy. As next year will undoubtedly focus even more on Africa and even more events will be held, could there please be more discussion on Africa and the Green Economy. If this is “Africa’s Moment” this is the moment to discuss green investment in Africa in ways that could help rebalance the global economy from "Brown to Green". Over the past five years the FT and its sister newspaper, The Economist, have arguably done more than any other (private sector) publications to explain how the green economy in Africa might work. Those planning next year’s events have an historic opportunity to put the green economy into Africa's remarkable growth story. 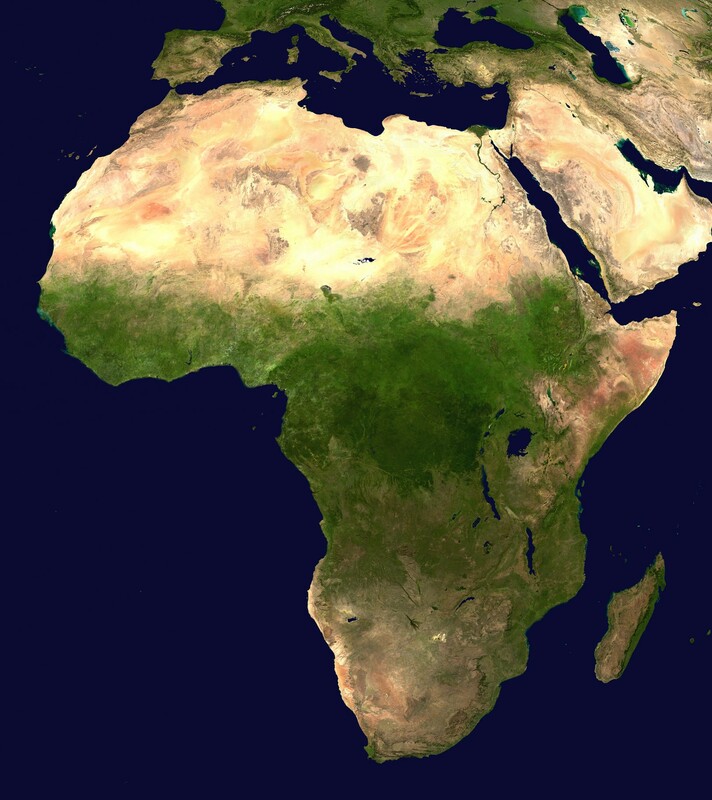 This year's Africa summits, conferences and meetings are demonstrating the great progress and great inroads being made on what was until recently known as “the forgotten continent”. But participants are not yet discussing the green economy as the one tool African leaders know is their only real hope for fulfilling their great potential, as well as for coping with the mounting challenges of the 21st century. Landscapes degrading, resources depleting, biodiversity being lost at an alarming rate, climate changing, populations rising, youth unemployment in some places out of control. It is clear that only a green economy will work in Africa, one that accounts for the hidden costs of doing business on this fragile and often hostile continent. As the planners, sponsors and organisers of next year’s Africa summits and conferences consider their agendas, this is the time to start telling Africa's green growth story. If Africa can become a green frontier and lead the world in green growth it might even prove Stephen Emmott wrong. If anyone reading this is involved or knows anyone who is involved in any Africa meetings, this year or next, and is convinced of their importance for telling Africa's green growth story, please send them an email or forward the link. I'm a blogger and analyst on geopolitical matters - I focus on energy, sustainable development and finance. As I've written a report about the Grand Renaissance Dam, I would like to interview you (on behalf of http://www.linkiesta.it/) about the project and its geopolitical significance.